Summer in Canada! It’s outdoor event season! And that means working in the all kinds of elements. Take this past weekend for example, we had lots of storms pass through, and break through showers. Our tent vendor watched the forecast carefully to modify his setup day. We got the call it would be Tuesday, to avoid rain in the forecast. They can’t lay their beautiful white tents out on the ground if they are wet, they get dirty. And they can’t setup in rain, they get so heavy with water on them they could never lift them. We were at a new venue, and the venue owners chose the tent location. After 2 days of heavy rain we arrived to puddles under the tent. 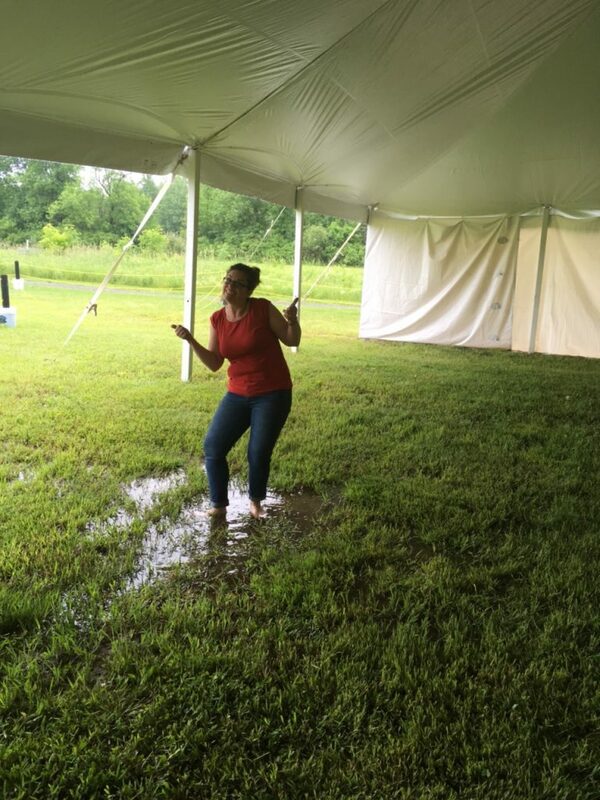 Difficult to setup tables and chairs in puddles and soggy grass. It always makes for an interesting start to your day when you have to rework the schedule and figure out a plan B. 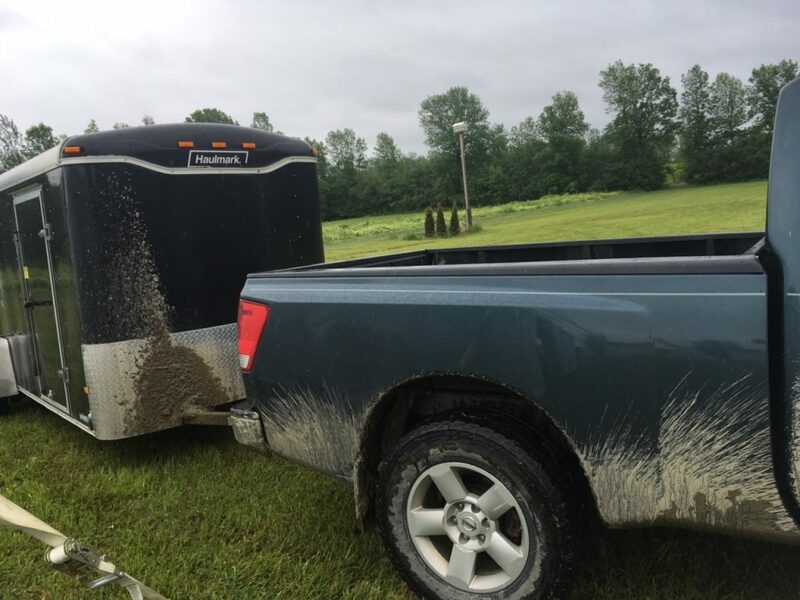 But we had lots of laughs, got the truck and trailer stuck in the mud, solved all our hiccups, and our client never knew our troubleshooting happened and had a fabulous event on Saturday! Yes I have to replace a brand new pair of runners, and I am still scratching my million mosquito bites. Our job and what makes us so good at what we do is to be proactive, but sometimes we have to smile with grace and calm and go with the flow. The end product is always amazing. Planning an outdoor event? Want to work with a team who is experienced in managing all the ins and outs of successful events held outdoors? Then we’re you’re team!